This short booklet describes a three-year study of the bird population of a 17-hectare area of common land between Woodstock and Witney. The area was once part of an extensive heath, forming part of the Wychwood Forest. In earlier times it was used for grazing, and in the nineteenth century was a source of sand and clay for brick-making. More recently the growth of scrub and trees has changed the character of the Common, and it is an area rich in bird life. 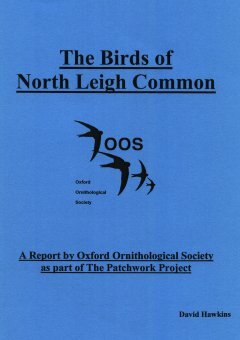 The Common was one of the first sites to be included in the Patchwork Project run by the Oxford Ornithological Society, and the present study, which takes into account historical records, was published in February 2003.